Missouri S&T presented four Awards of Professional Distinction during spring commencement ceremonies held Saturday, May 12. The awards recognize the outstanding Missouri S&T graduates and friends of the university for professional achievement. 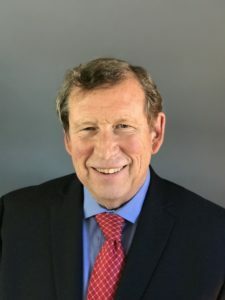 — John W. Critchfield of Vancouver, Washington, a retired construction manager for Parsons Brinckerhoff, earned a bachelor of science degree in civil engineering from Missouri S&T in 1974. Critchfield began his career as a soils engineer in Springfield, Illinois, then earned a master of science degree in civil engineering from the University of Illinois-Urbana. He worked as a geotechnical consultant in Boston, Rochester, New York and Seattle between 1978 and 1986. He was responsible for geotechnical investigation and design for a broad range of projects with an emphasis on tunneling. In 1986, Critchfield became a manager of underground construction and served in key leadership roles on several major tunnel projects, including the Seattle Bus Tunnel, the Trans-Koolau Highway Tunnels on Oahu, the Portland Oregon Westside Light Rail Project, Boston’s MetroWest Water Supply Tunnel, the East-Central and Northeast Interceptor Sewer Projects in Los Angeles and the Port of Miami Tunnel. He is a registered professional engineer in California, Massachusetts and Washington and a registered geotechnical engineer in California. He is a retired professional engineer in Florida, Hawaii, New York and Oregon. 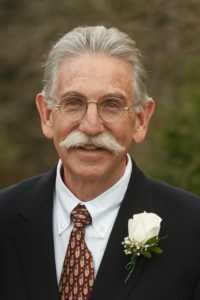 The author of several practice-oriented technical articles, including some of the first published papers on the civil engineering aspects of tunneling in gassy ground, Critchfield is a life member of the American Society of Civil Engineers, past chairman of the ASCE Underground Technology Research Council and a member of the Missouri S&T Academy of Civil Engineers. — Thomas E. “Ted” Day of Rolla, Missouri, CEO and owner of Mo-Sci Corp., earned a bachelor of science degree in pharmacy from the University of Missouri-Kansas City in 1986. Early in his career, Day held pharmacy positions at Salem Memorial Hospital and Phelps County Regional Medical Center. In 1998, he joined Mo-Sci Corp. as executive vice president. In 2007 he became the sole owner of the company, which was founded by his father, Dr. Delbert E. Day, a 1958 ceramic engineering graduate of Missouri S&T and Curators’ Distinguished Professor emeritus of ceramic engineering. The company manufactures high-tech glass products for the health care, automotive and aerospace industries and has been internationally recognized for innovative product development. 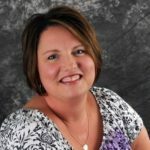 Day was named one of 50 Missourians You Should Know in 2017 and a Fellow in the American Ceramic Society in 2016. He is a recipient of the Edmund Ward Bishop Award from the Rolla Area Chamber of Commerce and the Eugene E. Northern Award from the Meramec Regional Planning Commission. Day holds six U.S. patents and has authored several technical publications and presentations. He is a member of the American Ceramic Society and Sigma Xi Research Society. He is chairman of the Ceramic and Glass Industry Foundation and past chairman of Phelps County Regional Medical Center. — James A. Faletti of Chicago, retired president and founder of Strategic Insights Ltd., earned bachelor of science and master of science degrees in engineering management from Missouri S&T in 1971 and 1979, respectively. Faletti founded Strategic Insights in 1994 and HR Insights Ltd. in 2002. Previously, Faletti held senior management positions at several large corporations. 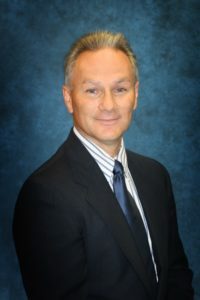 He spent nearly 10 years in manufacturing and human resources at the International Harvester Co. (now Navistar International) then moved to ITT Corp. as a group director of human resources and vice president of employee relations in the U.S. telecom network systems business. In this role he managed HR services for several thousand employees at six locations. Faletti also served as head of human resources for MCI’s Midwest division, senior vice president of technical services for VideoCart and vice president of human resources at Ameritech Corp. Faletti has served on the boards of the First Savings and Loan Association of Bureau County and the Chicago South Chamber of Commerce, as a member of the Crete, Illinois, Zoning Board of Appeals and as president of the Lincolnshire East Homeowners Association. He currently serves on the board of Exceptional Children’s Charities in suburban Chicago. At S&T, he served on the Engineering Management Advisory Board and was inducted as a founding member of the Academy of Engineering Management. He currently serves on the Missouri S&T Board of Trustees. — Danny Eugene Scott of Montgomery, Texas, recently retired from Baker Hughes. He earned a bachelor of science degree in metallurgical engineering from Missouri S&T in 1970. Scott served in a variety of engineering and management roles primarily involved in developing innovative solutions for drilling oil and gas wells during 47 years at Hughes Tool Co. and Baker Hughes Inc. He produced over 150 U.S. patents and authored 65 publications, as well as textbook chapters. He is an ASM International Fellow and a distinguished member of the Society of Petroleum Engineers (SPE). He received the Silver Patent Award from ASME, an Exemplary Service Award from the International Association of Drilling Contractors, and six Chairman’s Awards for innovation, commercial success and best research. 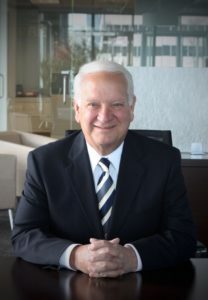 In 2009, he received the Baker Hughes Chairman’s Lifetime Technology Achievement Award. He was named Inventor of the Year by the State Bar of Texas and earned the Innovative Thinker Award from World Oil. An active member of SPE, Scott has served on over 40 conference and program committees and is chairman of SPE’s premier technical conference, the SPE-ATCE in 2018. At S&T, he has served on the Metallurgical Engineering Advisory Board and is currently on the Industrial Advisory Board for petroleum engineering and geology and geophysics. He was inducted into the Academy of Mines and Metallurgy in 2013 and has been a frequent speaker on campus including at the S&T Energy Symposium.